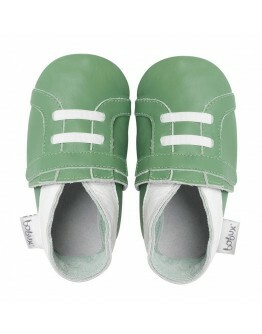 Baby shoes Bobux and shoes baby Lilliputiens at Grote Schatten | Large selection of baby shoes - Fast delivery! Is your baby going to the nursery for the first time or does it take his / her first steps? 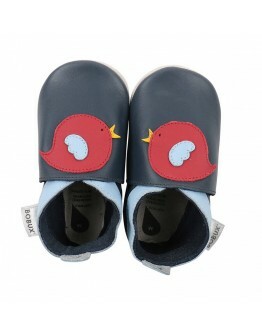 At Grote Schatten you will find an extensive range of booties, booties and baby shoes. 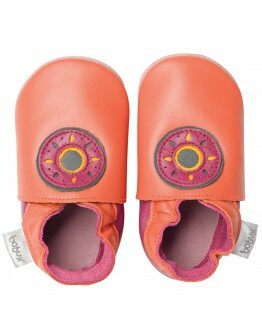 The Bobux baby shoes are a must-have for every baby, toddler or toddler who goes on discovery. 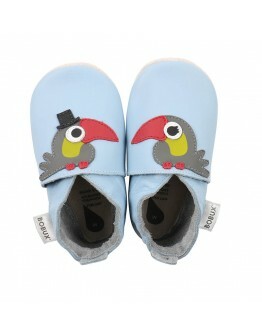 Looking for BABYSLOFJES newborn, baby booties winter or Bobux soft soles? 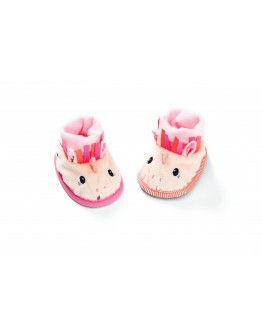 Lilliputiens booties or shoes Bobux soft sole? At Grote Schatten we offer a wide choice. In our OUTLET corner you get an overview of our cheaper baby shoes including especially Bobux sale! LilliputiensLilliputiens Jef baby bootiesA few cute Lilliputiens baby booties with the image of Jef the dog, offered in a beautiful giftbox, ideal as birthgift. So lovely! Starting From 0-6 m Size 15 x 10 x 8 cm Material polyester and cotton Machine washable 30 ° (delicate cycle)LOOKING FOR THIS LILLIPUTIENS JEF BOOTIES BABY OR ORIGINAL TOYS - EDUCATIVE TOYS - TOYS FOR EVERY AGE - FUNNY COLORFUL HUGS OR DOLLS FOR THE MORE RUGS? 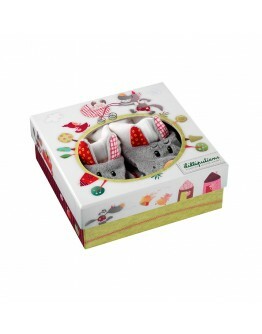 WITH THIS TOY AND HUGS OF LILLIPUTIENS YOU WILL SCORE FOR SURE..
LilliputiensLilliputiens Louise baby bootiesA few cute Lilliputiens baby booties with the image of Louse the unicorn, offered in a beautiful giftbox, ideal as birthgift. So lovely! Starting From 0-6 m Size 15 x 10 x 8 cm Material polyester and cotton Machine washable 30 ° (delicate cycle)LOOKING FOR THIS LILLIPUTIENS LOUISE UNICORN BOOTIES BABY OR ORIGINAL TOYS - EDUCATIVE TOYS - TOYS FOR EVERY AGE - FUNNY COLORFUL HUGS OR DOLLS FOR THE MORE RUGS? WITH THIS TOY AND HUGS OF LILL..
BobuxBobux bee pinkBOBUX, the original Soft Sole Bobux became a huge success with parents around the world. This Bobux shoe is made entirely in soft leather and thus really satisfies the needs of children who are not yet on the road, both in terms of foot health and use.The baby Bobux booties are easily put on and stay on. They won't fall out like many other shoes. Even if your little one tries to pull out the Bobux slipper, this is going to be a difficult job! The Bobux shoe allows your baby's..
BobuxBobux elephant greyBOBUX, the original Soft Sole Bobux became a huge success with parents around the world.This Bobux shoe is made entirely in soft leather and thus really satisfies the needs of children who are not yet on the road, both in terms of foot health and use.The baby Bobux booties are easily put on and stay on. They won't fall out like many other shoes. 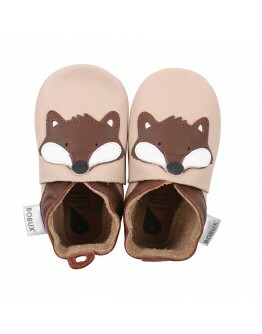 Even if your little one tries to pull out the Bobux slipper, this is going to be a difficult job!The Bobux shoe allows your baby..
BobuxBobux fox beigeBOBUX, the original Soft Sole Bobux became a huge success with parents around the world.This Bobux shoe is made entirely in soft leather and thus really satisfies the needs of children who are not yet on the road, both in terms of foot health and use. 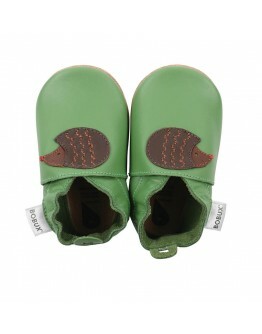 The baby Bobux booties are easily put on and stay on. They won't fall out like many other shoes. Even if your little one tries to pull out the Bobux slipper, this is going to be a difficult job! The Bobux shoe allows your ..